The picture below shows a Exhaust Clamp - Black - for Balance Pipe. Thousands of other top quality spares listed on our website at refreshingly low prices. 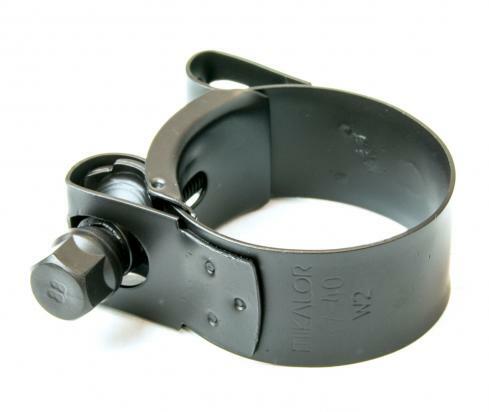 These W2 technology exhaust clamps are made using 430 stainless steel and have a high tensile steel bolt. They have a base ceramic coating, as well as two further layers of Satin Black coating, which help to prevent them from metal corrosion. They comply fully with the RoHs (Restriction of Hazardous Substances) directive for safety within the EU, 2006.